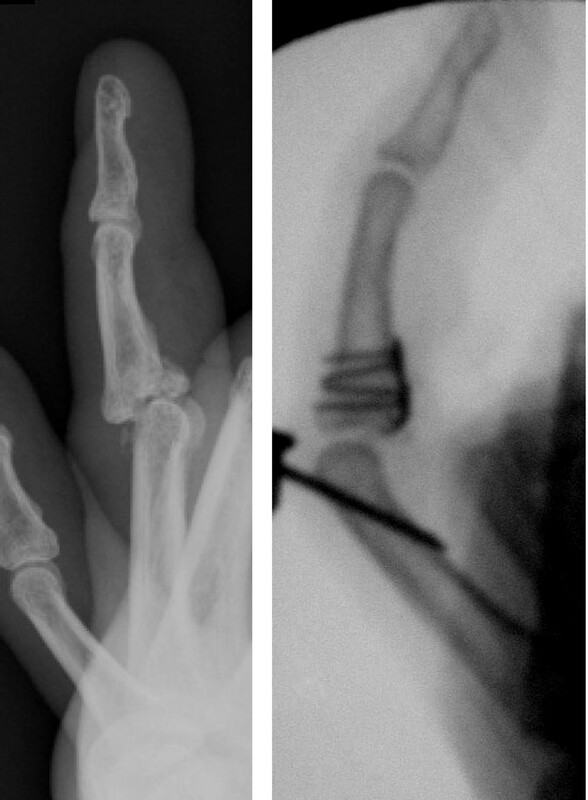 Volar plating of dorsal fracture-dislocation of the PIPJ with mini-T or hook plates ensures secure fixation and allows early mobilization with good results. This technique is also applicable when the volar fragment is comminuted. Early range of motion exercise regime is started. A resting gutter splint is applied to prevent flexion contracture of the PIPJ.